Treatment with a soft flexible oral appliance is considered the most convenient way to protect against the harmful effects of night time teeth grinding. 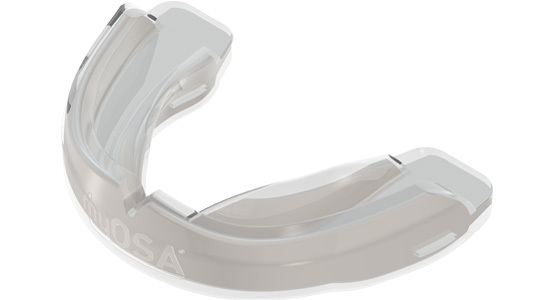 The Myosa® for Teeth Grinders - TGH is designed to fit over the upper teeth and provide an immediate protective barrier. When worn during sleep the The Myosa® for Teeth Grinders - TGH protects the teeth as well as the jaw joints (TMJ) against the harmful effects of teeth grinding. Once moulded correctly, which takes less than two minutes, the customisable appliance will provide excellent retention. The Myosa® for Teeth Grinders - TGH is recommended for night time us as well as during the day if daytime grinding is a problem. The dual layer appliance, which is made from flexible material, fits comfortably in any mouth size and when in place helps reduce muscle tension around the mouth during sleep. Assist to position the tongue correctly. Can be moulded and if necessary remoulded in less than 2 minutes. Provides firm fit and excellent retention. 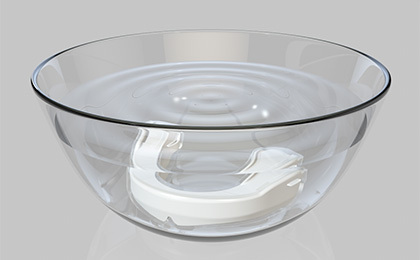 Pour freshly boiled water into a glass bowl. Immediately place the appliance upside down into the water for 90 seconds with base uppermost. Gently lift appliance from the water using a spoon and cool under tap water for one second only, bringing surface temperature to a comfortable level. Quickly proceed with Step 3. Watching in a mirror, line up centre of appliance with centre line of upper teeth and press firmly into front teeth and molars. Lightly close mouth to hold appliance in position then create a suction in the mouth while biting down. 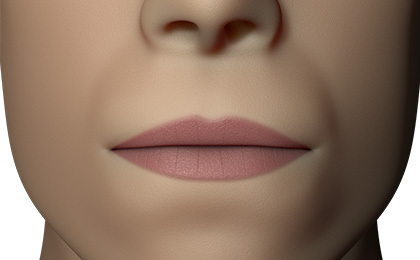 Continue for 20 seconds while moulding upper edges, front and back, by pushing firmly through lips and cheeks. Place the appliance in cold water for two minutes to cool then reinsert to check fit. Repeat fitting procedure if necessary.